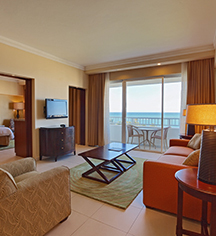 Accommodations at the Caribe Hilton have been designed to ensure guests will feel at home with elevated services and amenities. Featuring 748 guestrooms, suites, and spacious villas, this historic San Juan hotel offers a variety of options for a tropical, memorable Puerto Rico vacation. 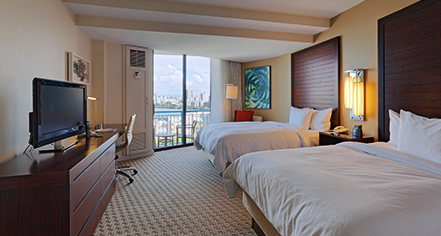 All accommodations at the Caribe Hilton are beautifully adorned and include a full menu of in-room amenities, including coffee makers, mini-refrigerators, desks, cable television, high speed Internet, and safes.